A Conservative MP for Mid-Derbyshire, Pauline has a keen interest in education issues and has agreed to represent and champion youth work as a distinct profession, as well as the University’s Youth Work and Community Development degree in her work as an MP. 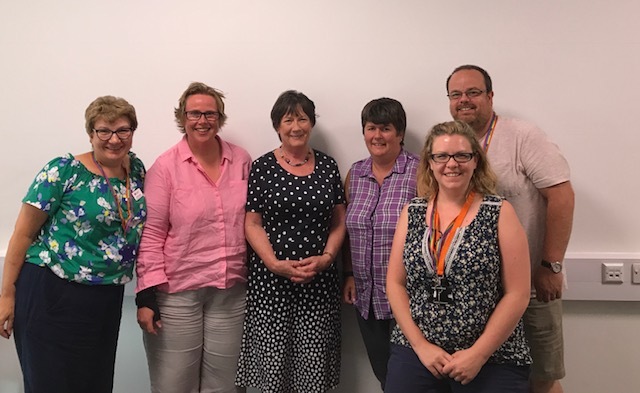 The agreement comes off the back of a meeting with Pauline Latham and members of the BA (Hons) Youth Work and Community Development programme team to discuss the distinct impact of youth work, and the growing employment opportunities for youth workers regionally and nationally. Sarah Barley-McMullen, Programme Lead and Senior Lecturer for Youth Work and Community Development at the University of Derby, said: “As a programme team, we are absolutely delighted that Pauline made the time to meet with us and has shown such an interest in youth work and the Youth Work and Community Development degree at the University of Derby. “For Pauline, an extremely well-respected and active Member of Parliament, to support the work we are doing at Derby is encouraging for all young people and youth work as a profession. Members of the Youth Work and Community Development programme team met with Pauline to highlight the need for cross-party commitment to a Statutory Youth Service, which would seek to improve the lives of all young people – not just those able to access short-term activity-based projects, such as the National Citizen’s Service (NCS) and Duke of Edinburgh. Sarah added: “This support from Pauline comes at a very important time. There has been a lot in the national press recently about the failure of the NCS to provide good enough results, impact and engagement with hard-to-reach young people. “This has come at the same time as Labour launching a call for a Statutory Youth Service, and the Conservatives suggesting that they recognise the transformative impact that youth services and trained youth workers can have, especially for young people facing multiple barriers or disadvantages. “There is currently huge national momentum from many youth-focused organisations including the National Youth Agency, The Institute for Youth Work, as well as The Local Government Association and the Association of Directors of Children's Services, for Youth Services to be made statutory and give back a share of the funding that was all diverted to the NCS by David Cameron, as part of his Big Society Strategy in 2011. “Since 2011, 95% of funding for youth services has been given to the NCS; there is a place for the NCS as a short-term, activity-based provision, however youth work is a profession that incorporates a professional relational skill set that encourages all young people socially and politically to overcome the barriers and inequalities that they face while growing up. Professionally trained youth workers work long term with young people, providing hope, challenge and transformation through relationships based on conversation, challenge, change and care. Pauline Latham OBE MP, who was a governor at Ecclesbourne School in Duffield for 12 years, said: “I am delighted to have become an ambassador for the University of Derby’s Youth and Community Development programme. “I am passionate about the impact that young people can have in their local community. With the necessary guidance, young people can be empowered to reach their full potential and impact their wider community. Find out more about studying Youth Work and Community Development at the University of Derby. Staff from the University of Derby's Youth Work and Community Development programme meet with MP Pauline Latham.